I am trying to create an email that has a picture set in the background like a watermark or a digital greeting card. I cannot find an option to do that. Where is it, is it gone? 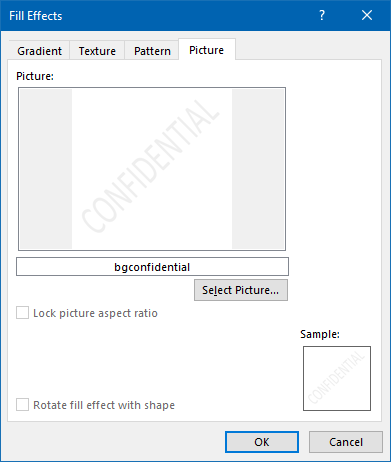 such as a “confidential” watermark. Note: This option is not available when you are using the “Inline reply” feature in Outlook 2013 or Outlook 2016. You’ll have to press the “Pop Out” button at the top of the message to open the reply in its own window to have access to all the email options and features.